Basketball betting fans can rejoice as the BIG3, founded by rapper and actor Ice Cube, enters its second year of competition this weekend in Houston, with regular season games running through early August before a two-week playoff ends in Brooklyn. If you’re unfamiliar with some of the rules we’ll provide a quick rundown: The games are played on a halfcourt with NBA dimensions. There are three four-point zones on the floor, a 14-second shot clock an games are played up to 50 (win by two), with a halftime when one team reaches 25 points. Those are the big rules you need to know. The teams will play a six-week regular season schedule – one game a week in six different cities – before the top four teams square off in a single-elimination playoff bracket. Games can be seen on Fox Sports 1 and streaming live on Facebook. So, who’s winning it all? Here are the best bets to make, based on futures odds from Karamba Sports. The prohibitive favorites and last year’s champion. Though their league-best odds of winning it all are tied with 3’s Company, Trilogy is the favorite here. They return all five players from last year, including Kenyon Martin, Al Harrington and Rashad McCants, who averaged 18.3 points on 53% shooting. Trilogy went 8-0 last season on their way to the title, and they added Dahntay Jones (rosters increased from 5 to 6 this year), who is a year removed from playing for the Cleveland Cavs in the NBA Finals. They also have James White, who was the Big3 Defensive Player of the Year in 2017. Expect this team to roll. Single-elimination tournaments mean anything is possible, but expect them to be playing in Brooklyn on August 24. As the NBA has shown us the last few seasons, having the best player in the league can carry you. And that’s what the 3 Headed Monsters have in Rashard Lewis, last year’s Big3 MVP who averaged 21.2 points per game. They’ve got a sharpshooter in newcomer Salim Stoudamire, who shot 36.6% from 3 in three NBA seasons. To complement their shooting they have some of the best bigs in the league in former NBA No. 1 pick Kwame Brown and Reggie Evans, who have a combined 25 NBA seasons under their belt (Evans led the league in rebounds per game, field goal percentage and double-doubles last year). They went 6-2 a year ago, losing to Trilogy, 51-46, in the championship game. They’ll be back in the mix this summer for a title spot and there isn’t a better team with a more balanced inside-out roster. Will they have enough youth to get it done? 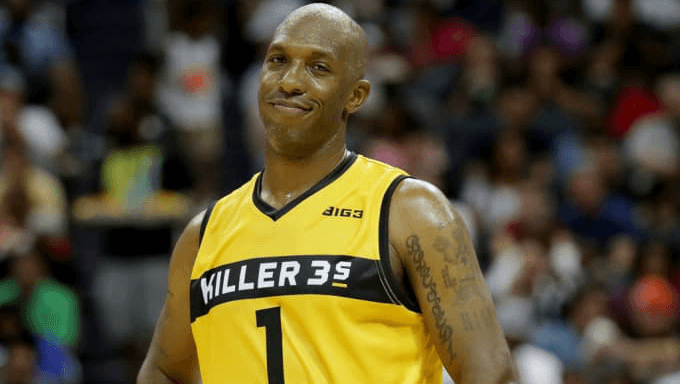 The Killer 3s underwent a massive roster change, retaining only captains Chauncey Billups and Stephen Jackson. But they’ve added some significant pieces, beginning with NBA champion Metta World Peace, and Alan Anderson, who is one year removed from an NBA campaign with the Clippers. They’ve got a mean streak to them with Jackson and World Peace on the roster and, oh, they’re coached by Charles Oakley. This group will be intimidating from the opening tip to the final basket. Jackson led the league in scoring last year (21.3 points) and was also voted Best Trash Talker, for whatever that’s worth. On name value alone the Killer 3s will compete; maybe the wily veterans can find some magic. Ready for your Cinderella pick? Tri State has the worst odds in the league to bring home the title, and their 3-5 record from a year ago doesn’t inspire much confidence. But consider two of their four newcomers: former NBA players Amare Stoudemire and Nate Robinson. Stoudemire, 35, is two years removed from a campaign with the Heat and should provide a little bit of everything. The real story, however, is Robinson. He was made for this type of setting: isolation, rewards for longer shots, a small, compact crowd and the spotlight on him. Don’t be surprised if Robinson carries Tri State deep into the playoffs. Captain Jermaine O’Neal averaged 12.0 points and 8.0 rebounds last year, and being coached by Dr. J. himself is always a positive. They’re the dark horse this year. Let’s toss in the other underdog here. After all, this is an eight-team, single elimination tournament. Anything can happen. There might not be a more accomplished former NBA player in the league than Carlos Boozer, who joins the Ghost Ballers after averaging 18.1 points and 10.6 rebounds for the Guangdong Southern Tigers in China. Past Boozer, the Ghost Ballers also have captains Mike Bibby and Ricky Davis; Davis averaged 14.8 points and Bibby led the league with 3.4 assists per game. They went just 4-4 but if Boozer can make the type of impact his team believes he will, they’re a sneaky pick to play in Brooklyn.